Doyle, who focuses his research in the areas of systems biology and biomedical control, is among 79 newly elected NAM members who were chosen by their peers for distinguished contributions to medicine and health. He is being honored for leadership in the field of biomedical control and for pioneering the design of control algorithms to enable the commercial development of the artificial pancreas. As co-principal investigator of the artificial pancreas project, he leads a multidisciplinary team of engineers and scientists who are developing an automated system to regulate the blood sugar levels of individuals with type 1 diabetes mellitus. Key members of the collaborative team that made great strides on the clinical translation of the engineering design are Dr. Howard Zisser, MD, presently with Verily Life Sciences, and Dr. Eyal Dassau, Research Fellow at SEAS. Doyle’s research group also studies circadian rhythms and the links between a human’s “biological clock” performance and cognitive function. In addition, his team builds statistical and mathematical models to gain insights into the mechanisms of post-traumatic stress disorder. 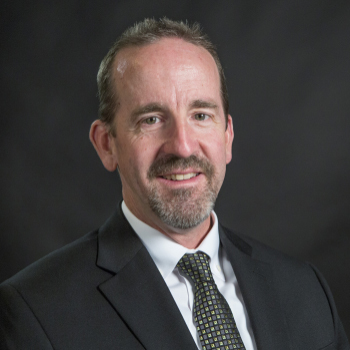 Doyle, the John A. and Elizabeth Armstrong Professor of Engineering & Applied Sciences, assumed leadership of SEAS on July 1, 2015, after serving as Associate Dean for Research in the College of Engineering at the University of California. He also serves as Adjunct Senior Investigator at the Sansum Diabetes Research Institute in Santa Barbara. He previously held faculty positions at the School of Chemical Engineering at Purdue University and the Department of Chemical Engineering at the University of Delaware. A prolific researcher, Doyle has co-authored more than 300 publications. He was recently honored with the 2015 Control Engineering Practice Award from the American Automatic Control Council, and is also a Fellow of the American Association for the Advancement of Science and the Institute of Electrical and Electronics Engineers (IEEE). Doyle is one of five Harvard faculty members elected to the NAM this year. The others are: Karen M. Emmons, Professor and Dean for Academic Affairs at the Chan School of Public Health; James Marc Perrin, John C. Robinson Chair in Pediatrics at Massachusetts General Hospital and Professor of Pediatrics at the Medical School; Michelle A. Williams, Dean of Faculty at the Chan School; and Xiaoliang Sunney Xie, Mallinckrodt Professor of Chemistry and Chemical Biology. They are among more than 125 Harvard faculty members who are members of the NAM, an independent organization of eminent professionals from diverse fields including health and medicine; the natural, social, and behavioral sciences; and beyond. Founded in 1970, the academy has more than 2,000 members.